A recent trend in the auto industry is the rapidly increasing number of people who choose to lease vehicles instead of buying. This is largely due to the attractive offers which promise drivers the opportunity to get behind the wheel of a shiny new car without having to deal with high monthly payments associated with buying a vehicle. The offers hold great appeal to consumers who want to stay abreast with the latest automotive technologies and design. Down Payment and First Payment: Similar to a lease on an apartment or house, most car leases require you to make an initial payment as well as a down payment upon signing the lease. Unsurprisingly, the initial payment is equivalent to one monthly lease payment. On the other hand, the down payment, often referred to as the capitalized cost reduction, is an upfront payment that helps to lower the monthly lease payments. Security Deposit: The security deposit is similar to that paid for the lease of an apartment or house in the sense that it takes care of any damage that you may do to the car while it is in your possession. If, at the end of the lease, you return the car damage-free, you are refunded the security deposit in full. This deposit is normally equivalent to one monthly lease payment. Registration and Taxes: Almost all US states levy a sales tax on leased cars. Normally, the sales tax is charged on the down payment, although a few states require tax to be paid on the entire value of the car. This could be a huge cost, so you should be prepared for it. Also, you may also be required to pay a registration fee. The fees vary from one state to the next, but are often within the ballpark of a few hundred dollars. Another tactic that leasing companies use to lower your monthly payments is imposing limits on how far you can drive the vehicle each year. Standard car leases have annual mileage limits of about 12,000 miles on average. Since the average driver in the US puts about 12,000 miles on the odometer each year, this standard mileage limit is fine for most people. However, if you put more miles on your car than the annual limit imposed on your lease, you will have to pay additional fees between $0.10 and $0.30 per mile. These fees may not sound like much at first, but if you regularly exceed your mileage limits, the lease costs can add up significantly. Fortunately, there is an option if you feel that the limit is too low: a high mileage lease. A high mileage lease is an agreement that offers a higher mileage limit right from the start, often between 18,000 and 20,000 miles. In this way, you can drive much further each year without having to worry about paying the expensive over-the-limit fees. However, you will have to pay higher monthly payments on your lease. If you think that you will only exceed the limits of a standard lease by a few hundred miles, a standard lease may be better for you, as the additional fees will not be as high as the monthly premium of a high-mileage lease. 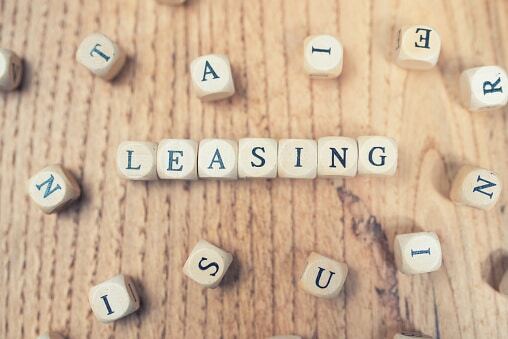 When you sign a vehicle lease, what you’re doing is simply renting a car long-term. Since the leased car is actually someone else’s property – a lessor that needs the car back, intact, at the end of the term of the agreement – you may be required to buy more auto insurance than you normally would. While the average car owner may be fine with the state’s minimum liability limits, you may not be able to when you lease a car. The higher coverage acts to protect both your financier writing the lease and yourself, as you would have to go out of pocket to fix a car that you do not own. When you lease a car, you may find that the lessor requires you to carry guaranteed auto protection insurance, also known as gap insurance. It is a kind of insurance which fills the ‘gap’ between what you owe the financing company and the actual value of the vehicle. In case of a major accident, most insurance companies will only pay the actual value of the car, instead of what you have paid for it. Gap insurance ensures that you receive the full amount you owe on your lease if the vehicle is totaled in an accident. Before heading to the dealership, talk to your insurance agent and find out how much insurance costs will be if you lease a car. For people who choose to lease cars regularly instead of buying, one of the major advantages when compared to traditional auto financing is that they can choose a short term lease. A short-term contract comes along with a wide range of benefits. When you first decide to lease a car, one of the first things you should do is determine the ideal contract term to suit your needs. Ask yourself the all-important question: How long can I lease? You need to ask yourself this question because it is, after all, YOUR lease. While the majority of auto financiers offer standard minimum and maximum terms for car leases, you are still free to select how long your contract should be within these minimum and maximum parameters. You are the only one who knows what fits into your needs and lifestyle. Although they are offered in six or twelve-month increments, lease terms are not rigid. For instance, you could choose to take out a 27-month lease if two years is too short, or 43 months if you find a four-year lease too long. Because life does not take a cookie-cutter approach, neither should your lease.